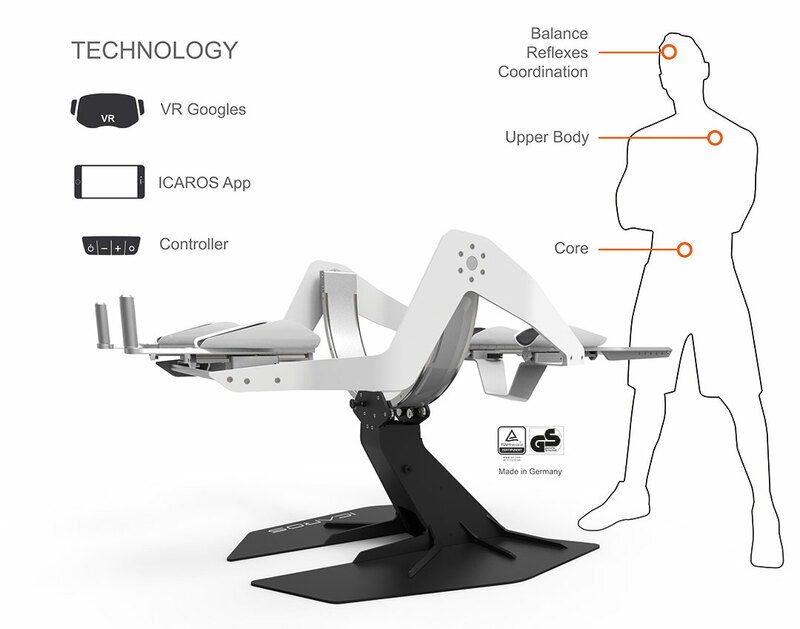 The ICAROS system allows gamers to steer through virtual worlds by balancing their body. It consists of the ICAROS rig, controller, VR-headset and gaming app. Controlling on the ICAROS exercises balance and reaction as well as different muscle groups – especially core-, chest-, and shoulder muscles. The ICAROS controller is mounted to the handle bar of the device. 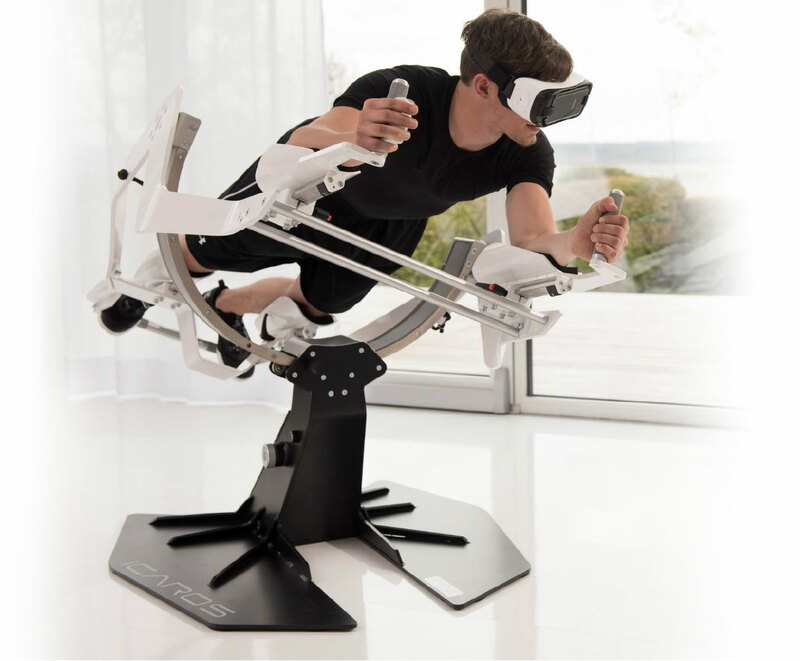 It contains all necessary electronics to measure the users movements, sends the data the VR Headset and can be connected with any compatible HMD (head mounted display).